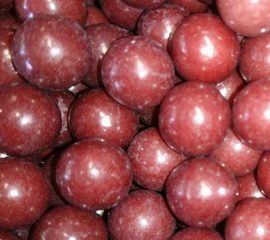 The ultimate for any aniseed fan - little solid balls packed full of aniseed flavour! 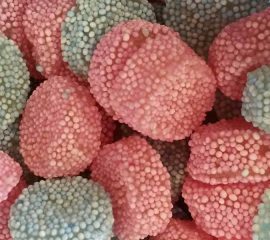 All the characteristics of a traditional sweet with an aniseed flavour - a great alternative to aniseed balls if your after a change? A wonderful jar of those favourites from yester-year (and some more modern too!) 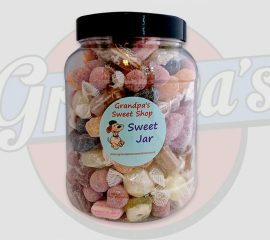 This jar has those sweets with distinctive flavours - mints, herbs, aniseed, spices...its all here for you to enjoy! In fact there approximately 1.5kg worth of them...probably even more than that! This jar includes: Brandy Balls Grandad's Herbals Army & Navy Winter Mixture Acid Drops Troach Drops Aniseed Twists Buttermints The jar itself is approx 13cm in diameter and 19cm tall (including the lid) - this makes a great present and can have all kind of uses after too (although you might just want to keep filling it with sweets - we wouldn't blame you!) 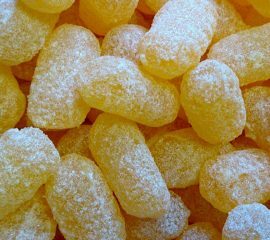 Occasionally (not very often) we may run out of a particular sweet, if this is the case we'll substitute it with another of the same great taste and quality. 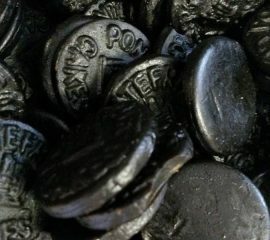 These small round discs of liquorice have been around for years proving just how popular they are! 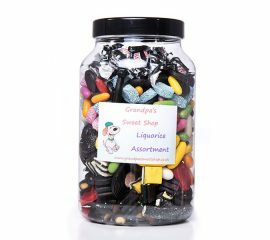 Liquorice with an aniseed flavour this is a true favourite for the liquorice and aniseed lovers among you - if you've not tried one then maybe todays the day!